Spectacular luxury in the heart of the Alaskan wilderness. Located on the quiet shore of Larsen Bay on Kodiak Island, Alaska. Kodiak Island Resort is the most luxurious wilderness fishing resort and lodge in Alaska. Designed and constructed for absolute enjoyment and comfort. Meticulously positioned to capture spectacular and unforgettable views of the Alaska sunsets and surrounding mountains. A truly remarkable resort in the midst of absolute wilderness. The lodge, open from May to October, offers unique wilderness adventures that include saltwater fishing, fly-in fishing, kayaking, bear viewing, whale watching, beach-combing, wildlife photography, and much more! 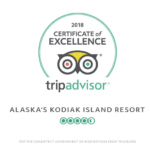 The Best Alaska Lodge – As rated by our clients! 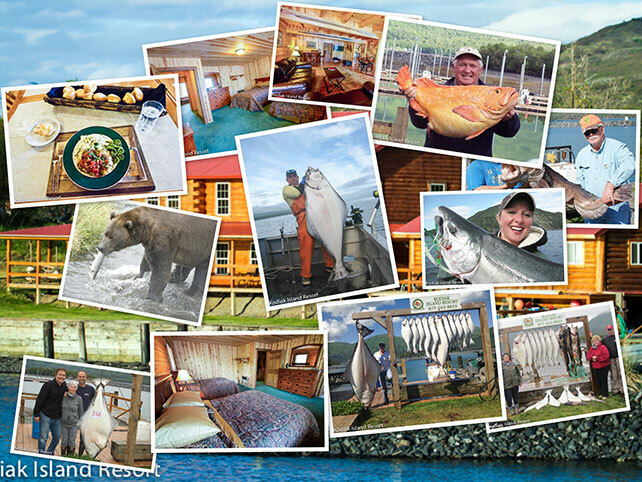 By Kodiak Resort July 27, 2013 Comments Off on The Best Alaska Lodge – As rated by our clients! Alaska is the world’s most perfect place to have an exciting, remote, fishing adventure of a lifetime. Alaska has an unlimited number of fishing resources. Alaska is the unchallenged greatest location to fish for rainbow trout, king salmon, silver salmon, steelhead or halibut. The #1 rated lodge… Rated “EXCELLENT” on TripAdvisor by our clients ! When choosing the best Alaska fishing lodge, it is important to know the type of fish you are hoping to catch, because some species are region-specific. For example, if you are going on a fishing trip in Alaska and are looking to catch halibut, you should try and look for the fishing locales where trophy halibut are known to reside. Fishing in Kodiak and Larsen Bay Kodiak Island offers the highest population of trophy halibut of anywhere in Alaska. Anglers experience superior Alaska halibut fishing at Kodiak Island Resort due to the remoteness of the area, coupled with the close proximity of the Pacific Ocean’s northerly currents. An abundance of marine life is brought to the Kodiak area via the strong currents, and all of this food provides a generous food supply for halibut, and all species of salmon, not to mention several varieties of whales. 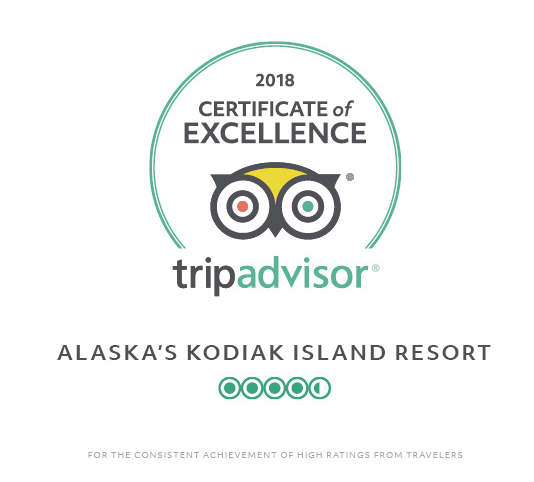 Our remote luxury lodge is surrounded by the wilderness backdrop of the Kodiak National Wildlife Refuge, home to the world’s largest population of Brown Bears. Not only does Kodiak have the largest brown bear population, but because of the abundant food supply they are the world’s largest brown bears. If you are looking for an incredible place to catch king or silver salmon then Alaska fishing is the perfect solution. In particular, our Kodiak Island fishing lodge is the perfect place for fishing addicts, and novices alike, from around the world. Alaska has the world’s largest silver salmon population, and like everything else in Alaska they are big! Anglers always dream of coming to the best Alaska fishing lodge to experience catching big fish, which we are so famous for. Besides king and silver salmon fishing in Alaska, getting here is half the fun. You will see magnificent scenery and abundant wildlife throughout your Alaska vacation. The complete Alaska fishing trip includes spectacular scenery, wildlife viewing, native culture exchanges, as well as countless other activities. The variety of activities is what captivates our guests and keep them coming back. Looking for a remote, luxury Alaska Fishing vacation? The best Alaska fishing lodge.